California has plenty of coastline fun from the sun-kissed beaches of Santa Barbara to the jagged cliffs and rolling hills of Big Sur. However, the Lost Coast, a 24-mile strip of untouched beach five hours north of San Francisco, has to be one of the most remote. The area is dotted with boulders and black sand which make it difficult to easily build any infrastructure to support a town. Due to its challenging geographical features, even Highway 1, a coastal highway that runs the length of the state, is absent from this region, making travel there less accessible and your journey more ambitious. What better place than that for a good adventure? Before you go, it’s important to make sure you have all your bases covered. Being so isolated can be great fun, but it can also be tough if you find yourself in trouble. Here are the five most important things to remember when planning your trip. 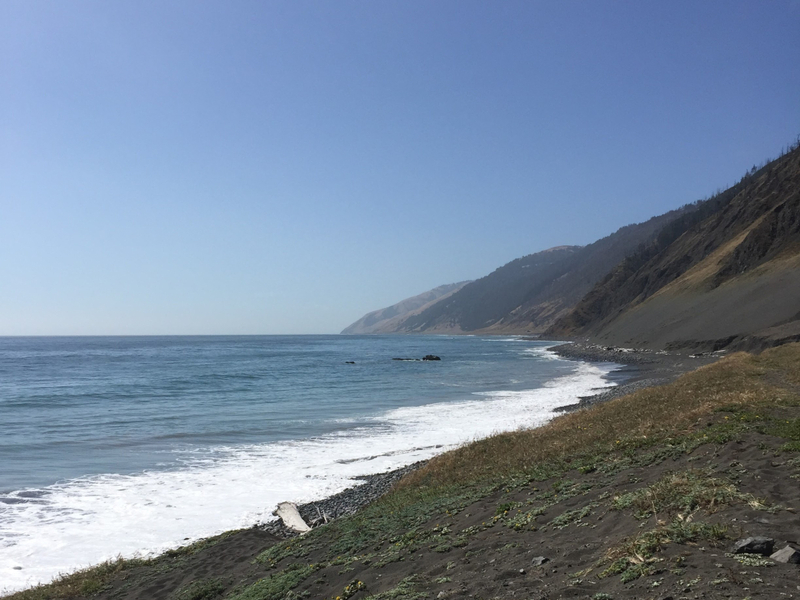 A lot of people hike the Lost Coast one-way from north to south starting at the Mattole Trailhead and ending at Shelter Cove rather than doing the out-and-back or parking a car at both trailheads. If this falls in line with your plans, make sure you book a shuttle well in advance of your hike so you’re not stranded on either side. Seriously -- look to do this about 1 to 2 months in advance depending on the season. Because the area can only be commercially operated by companies that have a permit, there are only two shuttle companies, Lost Coast Adventures and Lost Coast Shuttle , that are authorized to ferry people from the southern point of the trail to the northern trailhead. Each service costs $200 for the first two passengers, then $25 for each additional passenger up to six. The price is a bit steep, but it saves you a great deal of time and is well worth it. Both Verizon and AT&T had spotty, if any, service around the trailhead (including Shelter Cove, the city at the southern terminus). Do all of the planning that requires a connection to the Internet (or other human beings) before you get to the coast. Like much of the California backcountry, you are required to bring a bear canister for the length of the trail. Although we personally were not the victim of a bear swiping our food, there were a few rummaging around the areas close to the trail. Better safe than sorry! 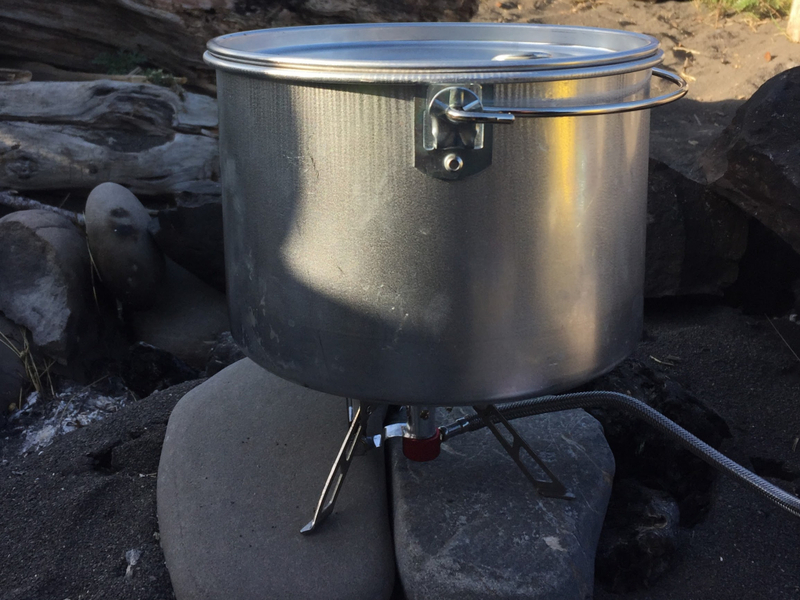 Fortunately if you forget to bring your own canister, they are available for rent both at the Shelter Cove general store (southern end of the trail) and at the Arcata Ranger station (northern end of the trail) -- both will charge $5/night. Tides play a major role along the trail -- There are two four mile stretches that are impassable at high tide on the 24 mile trail. The area near Punta Gorda lighthouse (once an active lighthouse that was abandoned in 1951) from Sea Lion Gulch to Randall Creek is the first, and the stretch from Miller Flat to Gitchell Creek is the second. Each stretch is along the black sand beaches of the Lost Coast and run up against cliffs that make escape from a charging tide very difficult. The BLM suggests that hikers avoid being in these areas an hour before and after high tide. If you find yourself at one of these areas during high tide, it’s possible to set up camp either at Sea Lion Gulch (a little further than the lighthouse) or in Miller Flat -- both are excellent campsites with nearby water sources. Shuttle services hand out tide maps, but it’s best to review the tide table in advance to plan your route and campsites. Locals in Shelter Cove and the shuttle operators are full of stories about hikers that either were not aware of or chose to ignore the tide tables. Needless to say, the stories never end very well. 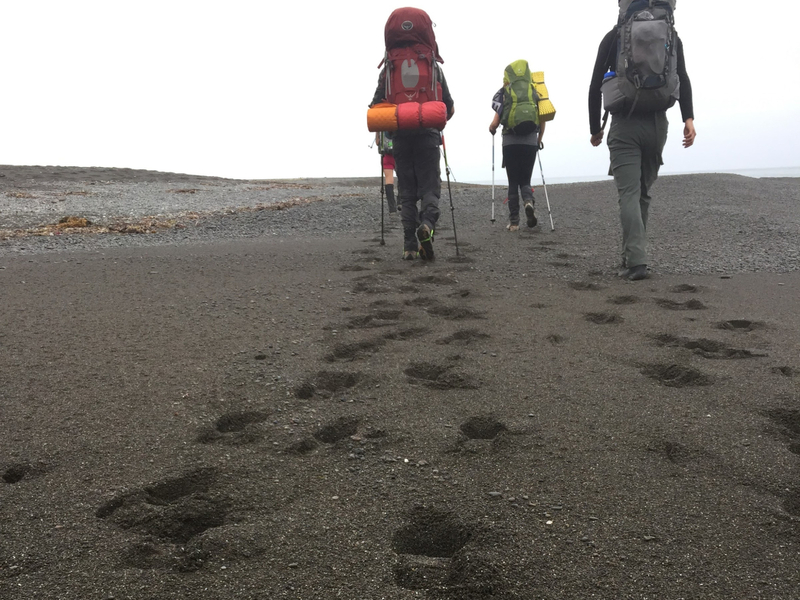 Two-thirds of the Lost Coast trail is over rock or sand. From afar, this doesn’t seem like a big deal -- beach hiking? Bring it on! But it’s more challenging than it looks. The sand presents itself as if it were solid ground -- water-logged and packed in --, but each step sinks proportionally to the pressure in your gait. The rock fields act in an opposing manner, obstructing the footpath frequently and mercilessly. Make sure you bring comfortable shoes and wear pants or gaiters to keep the loose sand from sneaking in between your toes and causing blisters. 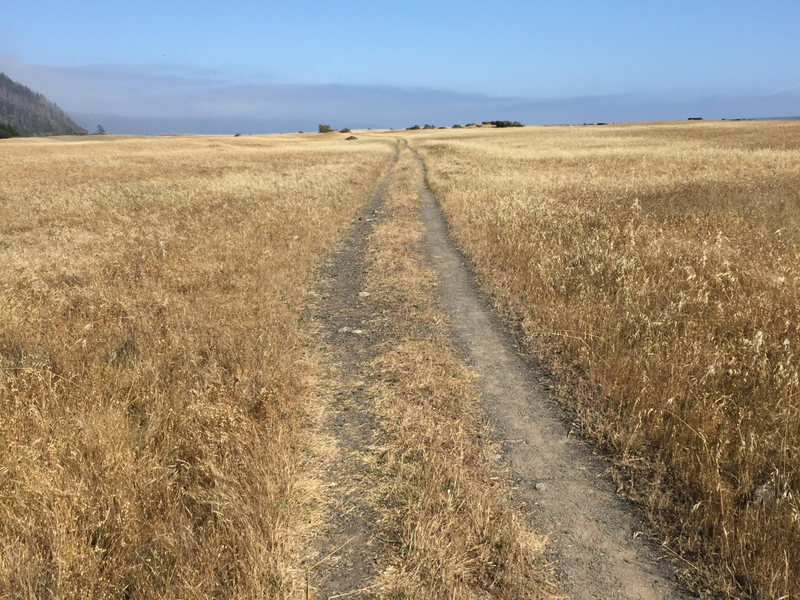 While it is possible to do the hike in two days, most recommend spending three days navigating the 24 miles of this low-elevation, coastal hike. At times it’s a slog, but it’s also immensely beautiful with its black sand, rock fields, and of course, the ocean. Please note that permits are required on the Lost Coast Trail, but they do not need to be reserved in advance -- They are available at the trailhead. 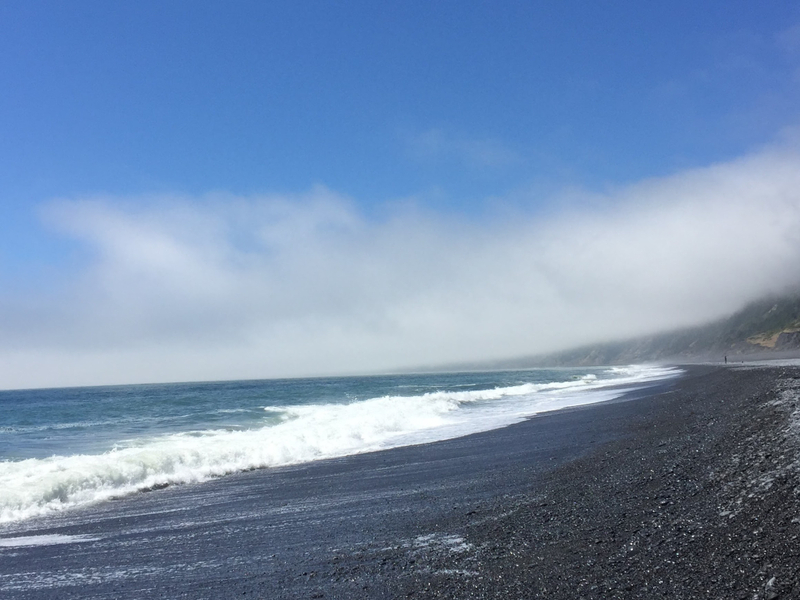 The Lost Coast is accessible all year round, but the best times to visit are between May and September.